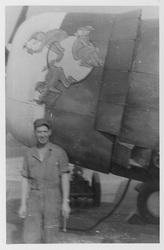 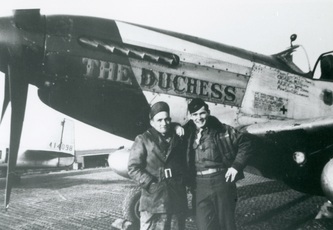 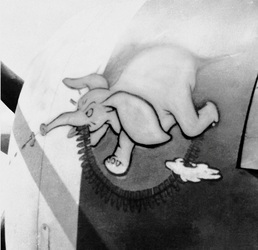 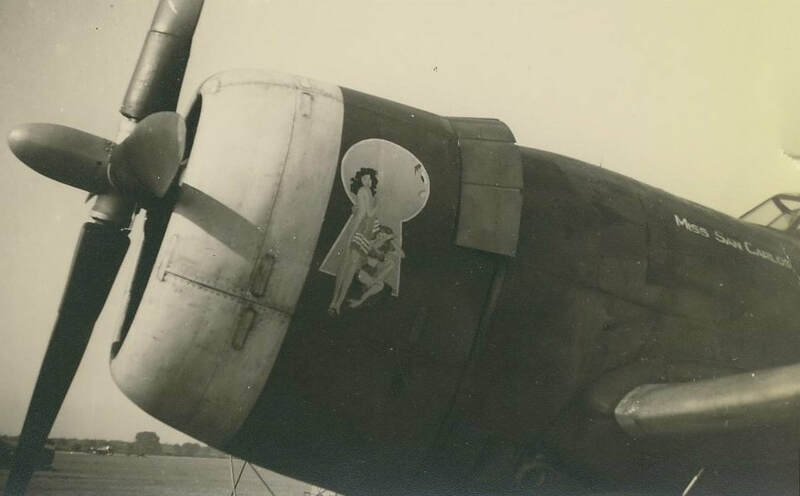 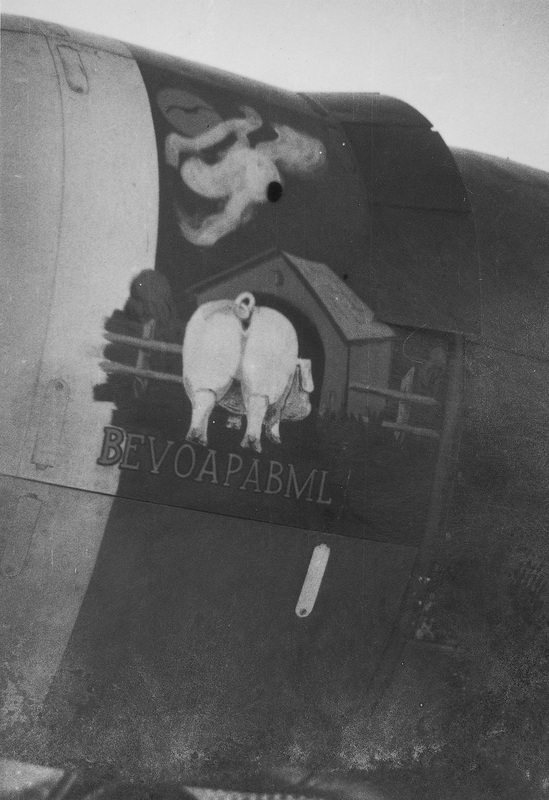 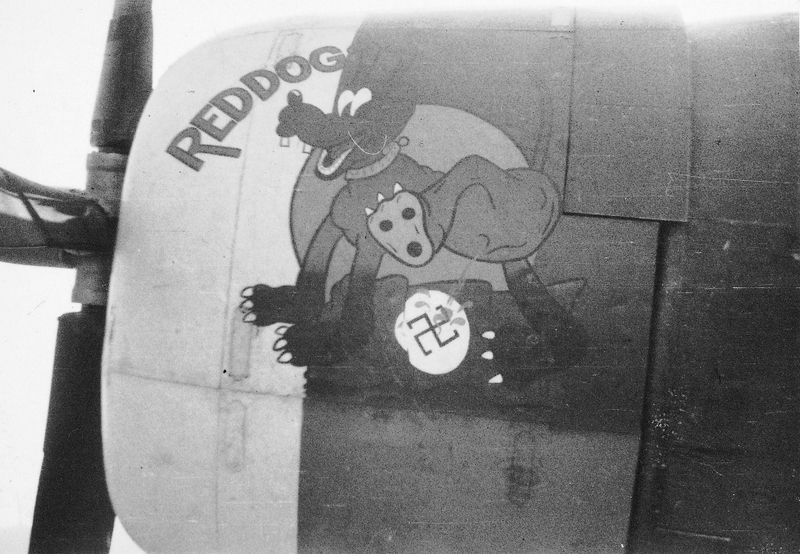 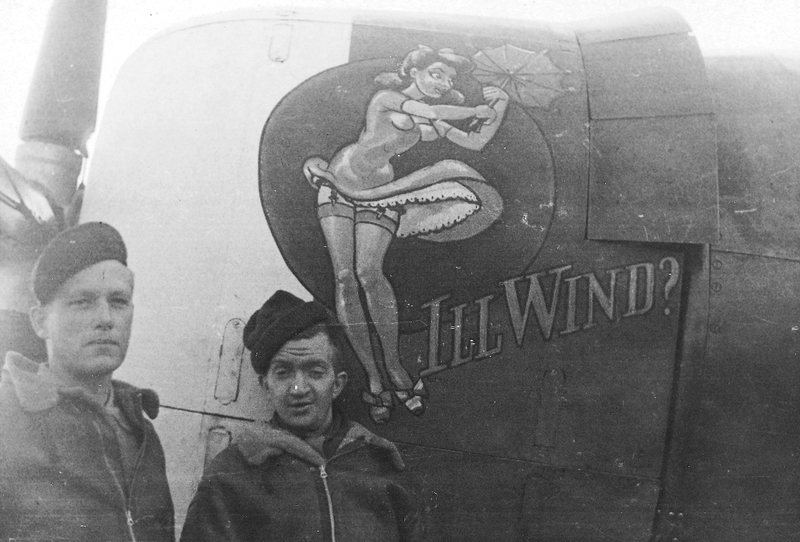 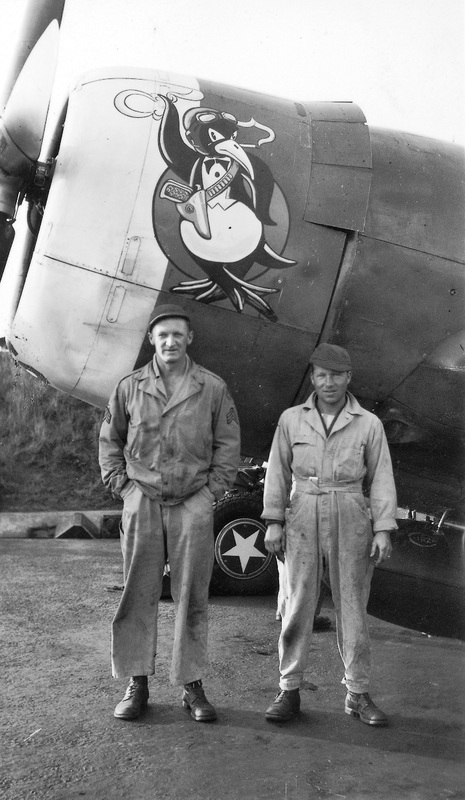 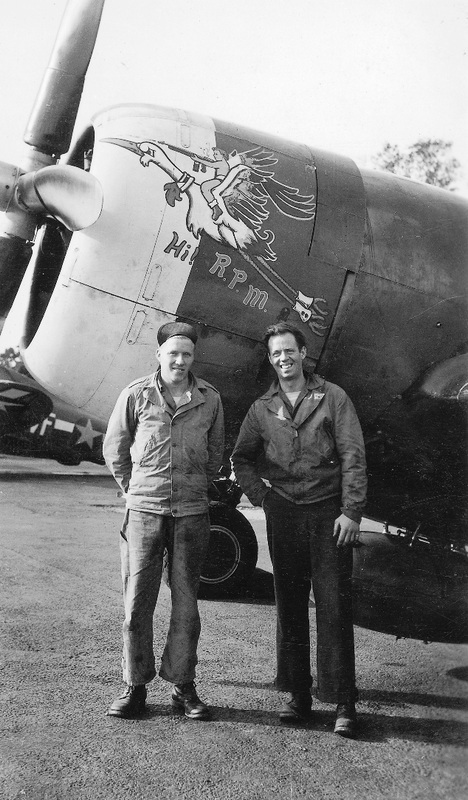 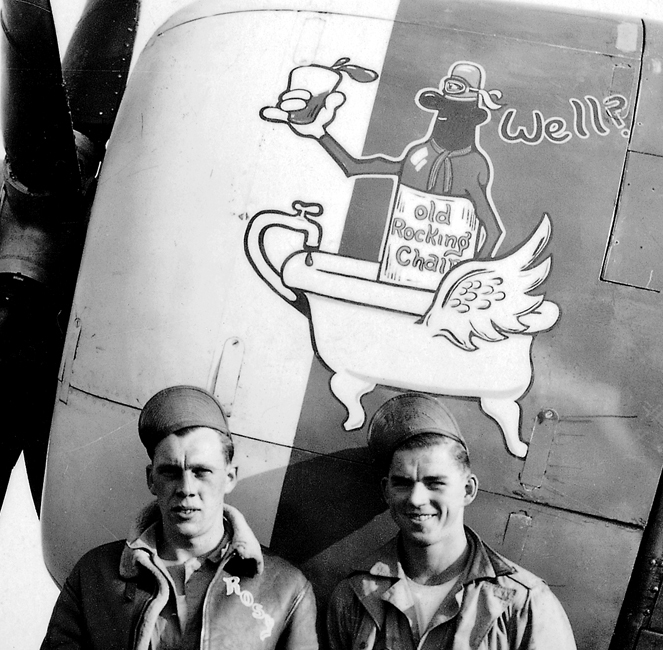 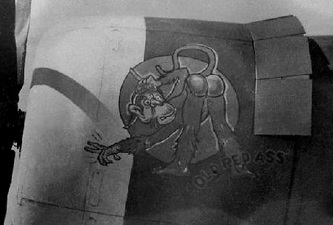 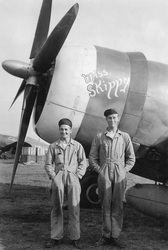 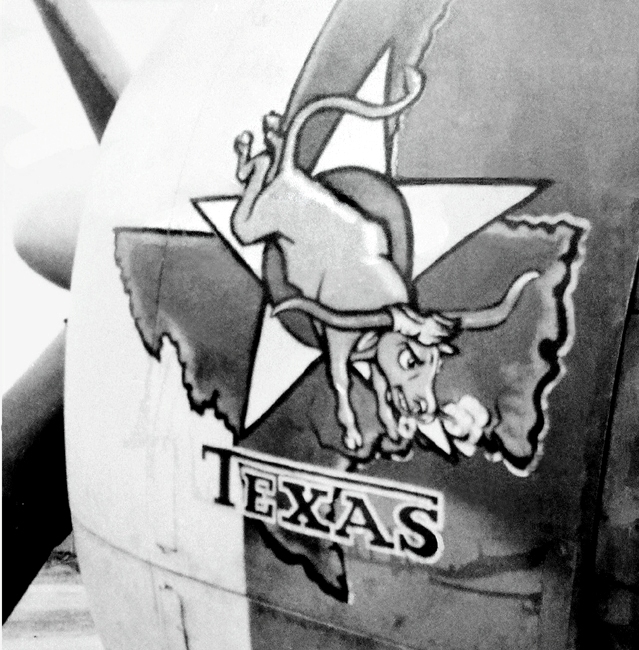 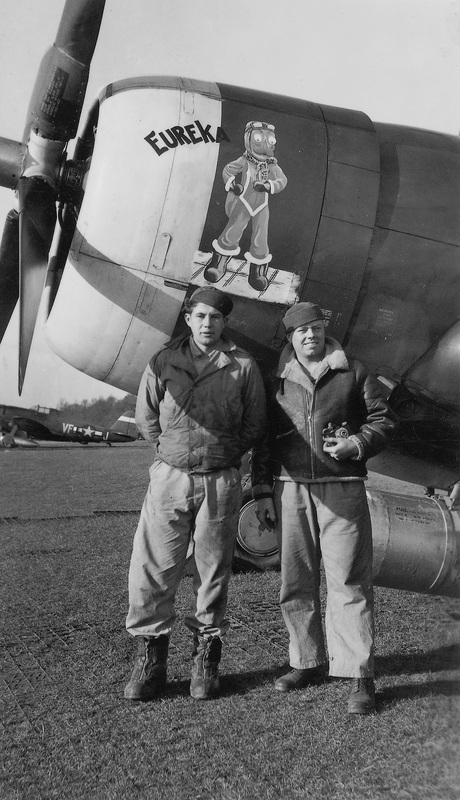 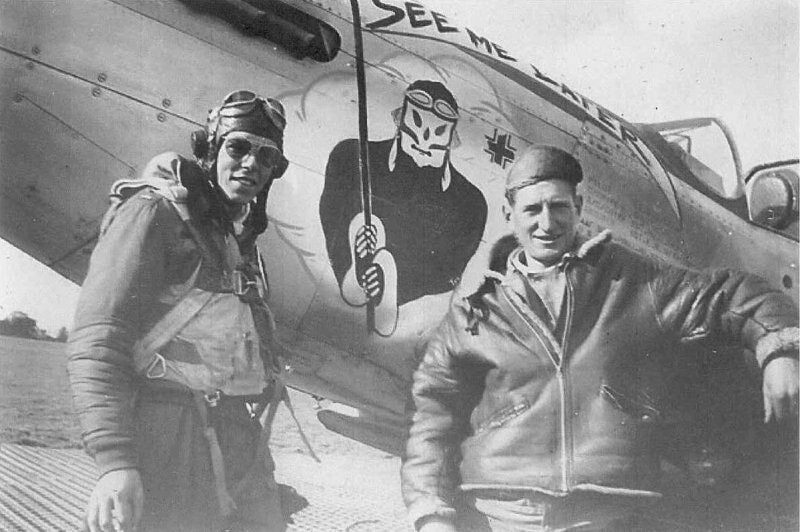 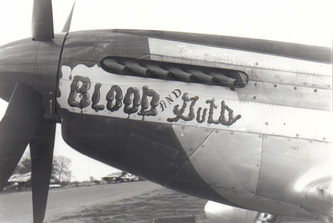 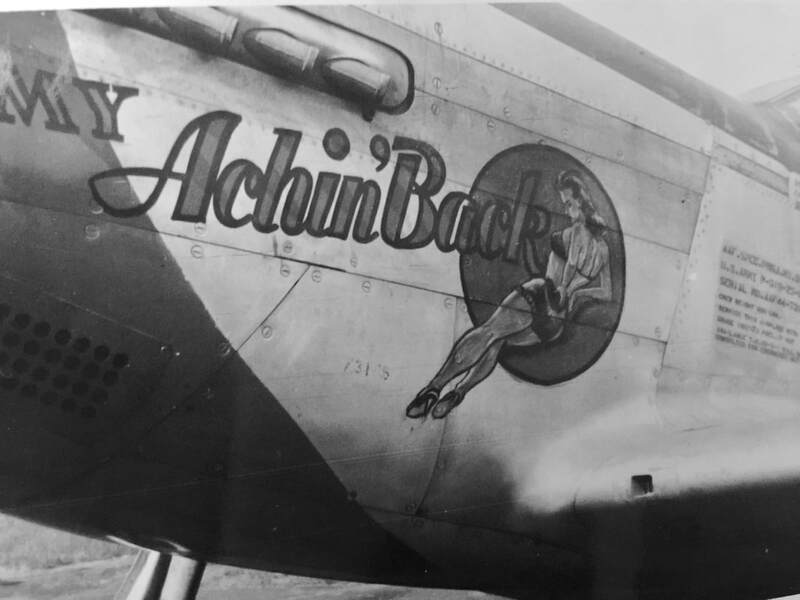 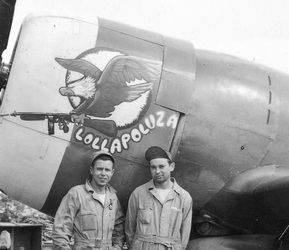 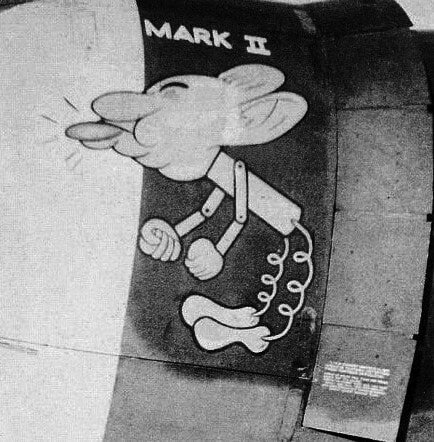 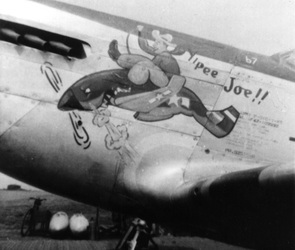 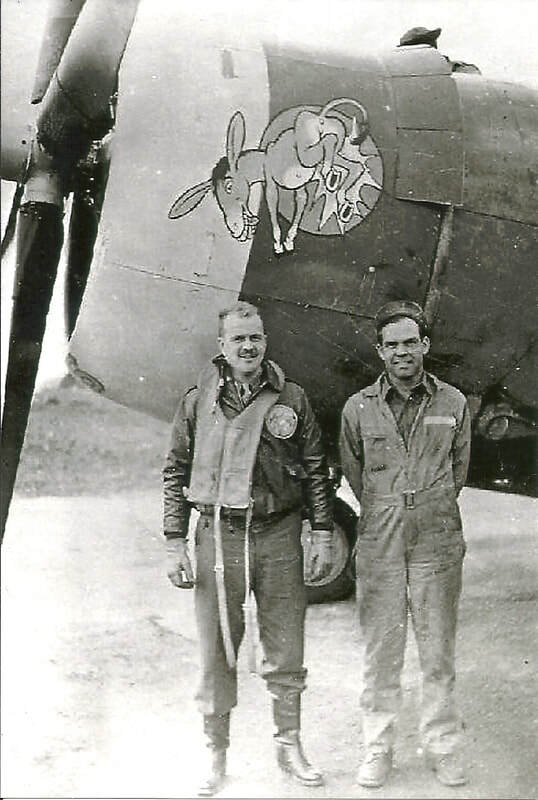 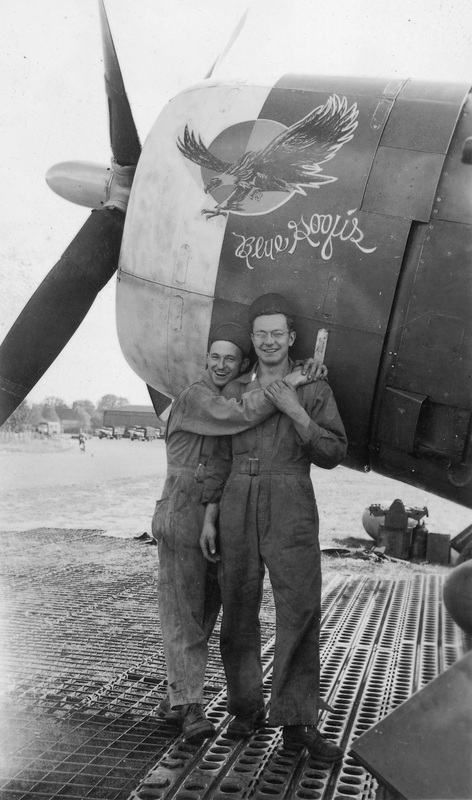 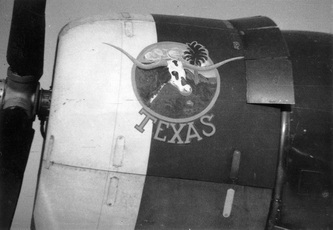 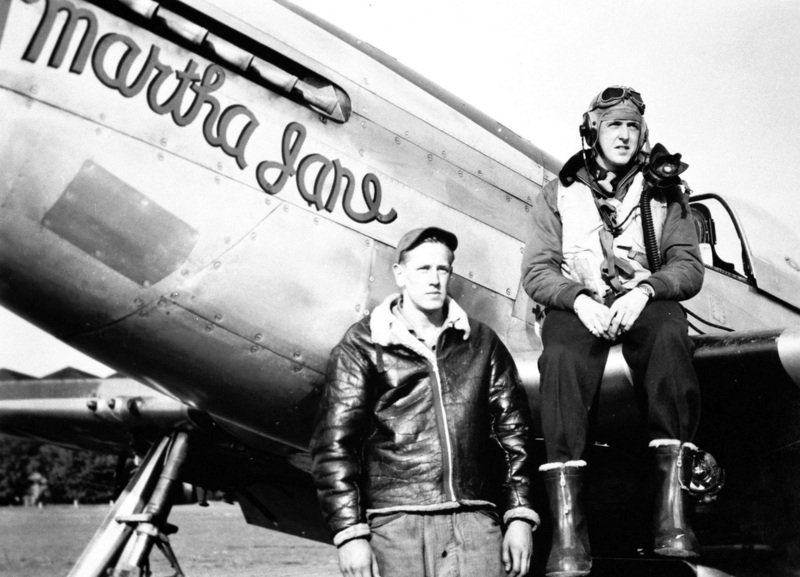 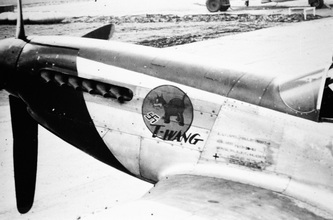 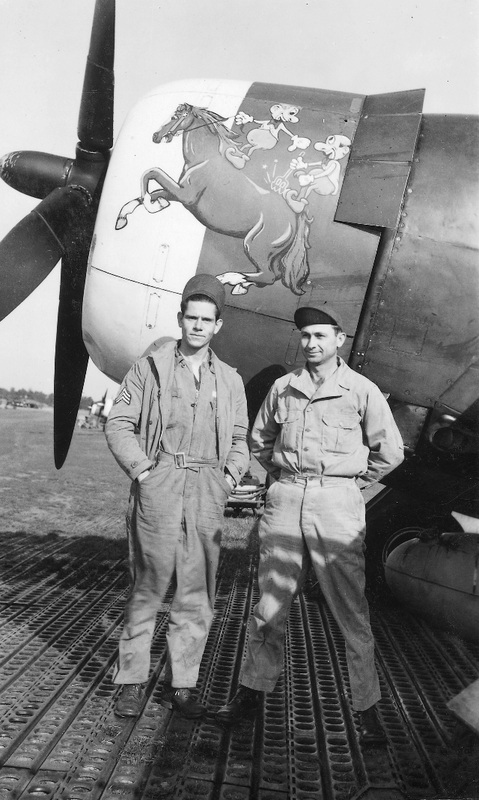 The aircraft of the 4th Fighter Group featured some of the most memorable nose art in the ETO, the creations of gifted artists like 334's Don Allen of Chagrin Falls, Ohio (right, top) and 336's Fred Rice of Alamosa, Colorado. 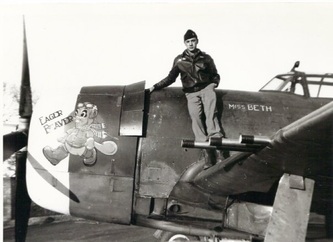 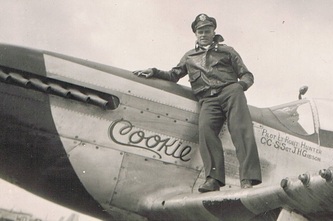 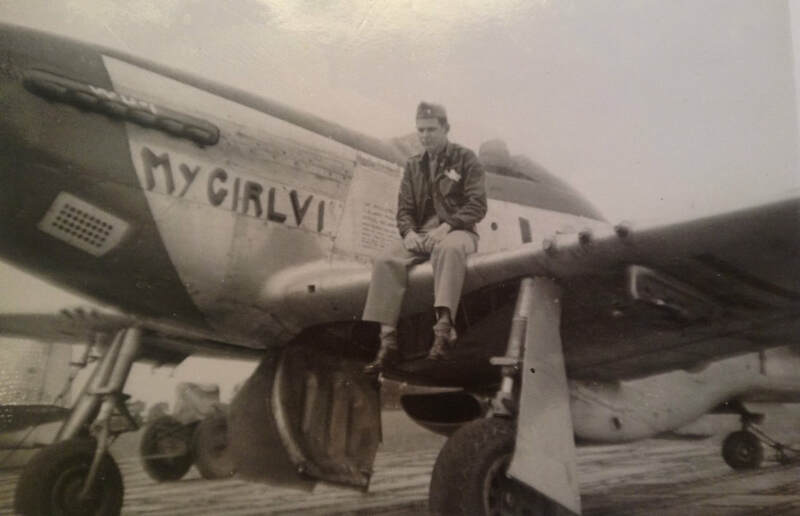 Allen, shown touching up the scoreboard on Nick Megura's Mustang Ill Wind, was responsible for the likes of Salem Representative, Boise Bee, Miss Dallas, Blondie, My Achin' Back and Sweet Arlene among the dozens of cowlings he decorated during the war. 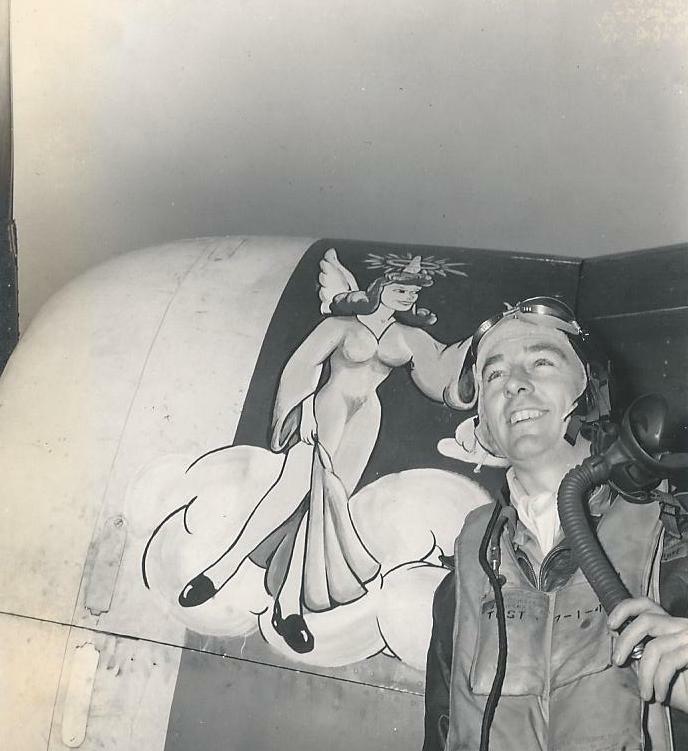 A 1941 graduate of the Cleveland School of Art, Don would continue to use his talents and imagination post war in the world of advertising and commercial art. He was recently honored by the 4th Fighter Wing, which named a street on Seymour Johnson AFB after him. 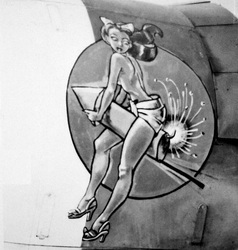 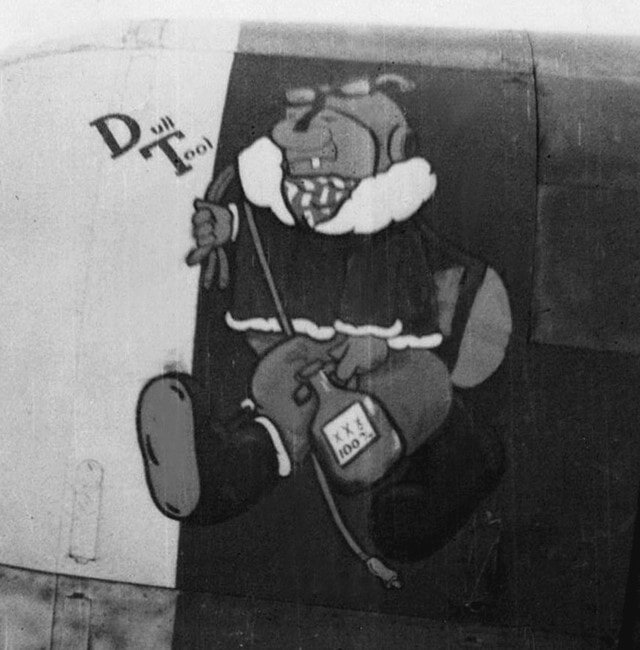 Don and his work are also featured in an upcoming documentary about 8th Air Force nose art currently being produced in England. 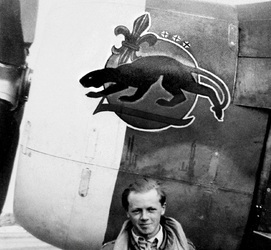 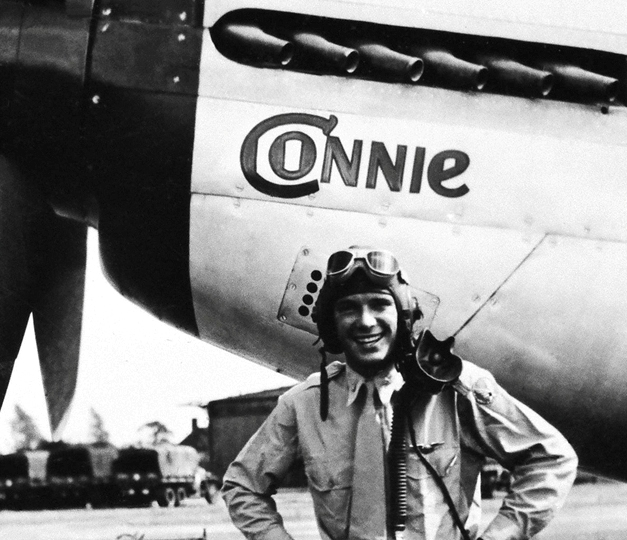 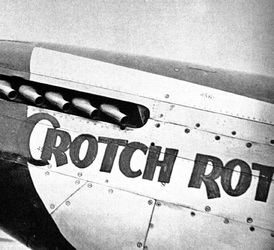 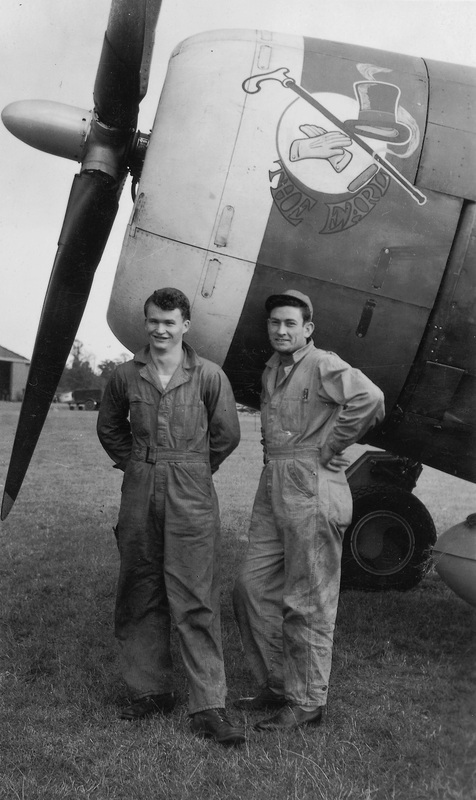 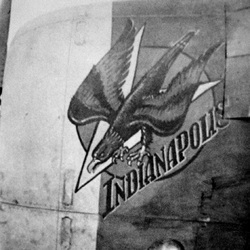 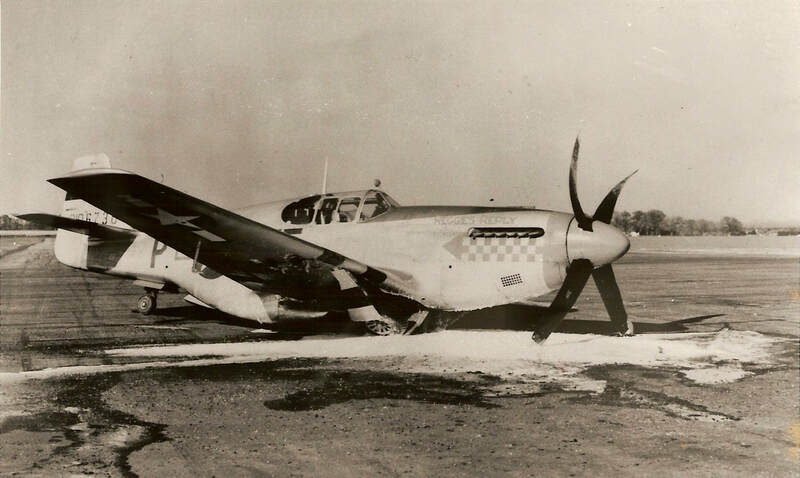 Rice, pictured working on the cowling of Pierce Wiggin's Thunderbolt, was equally prolific in 336, where his services were hotly sought after. 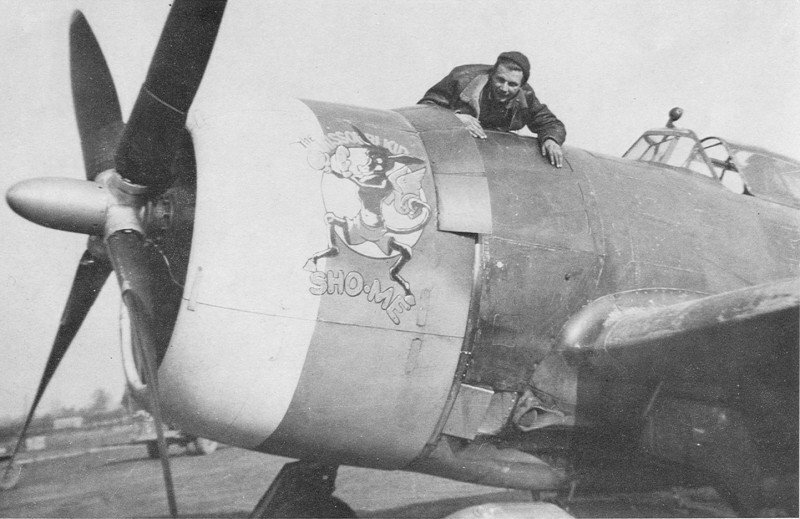 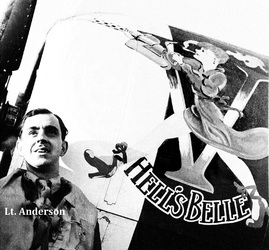 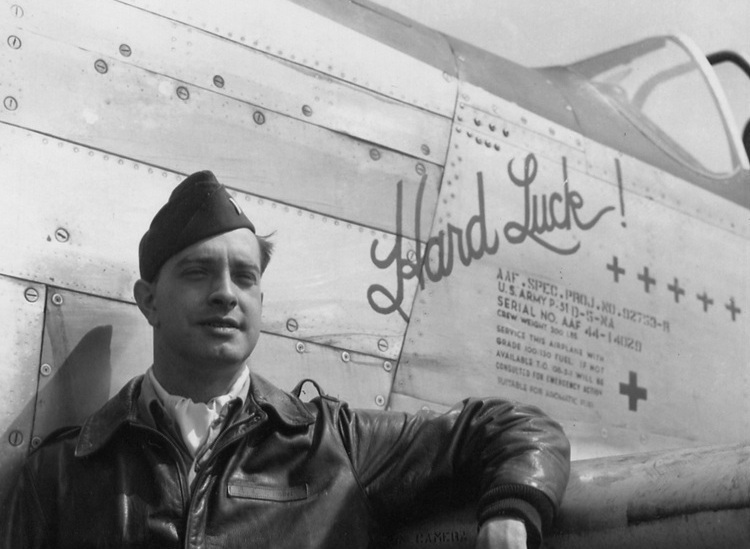 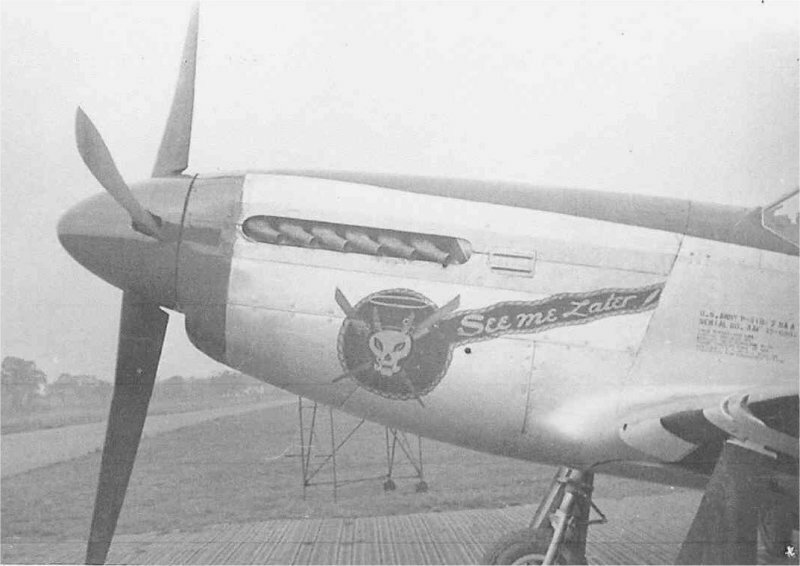 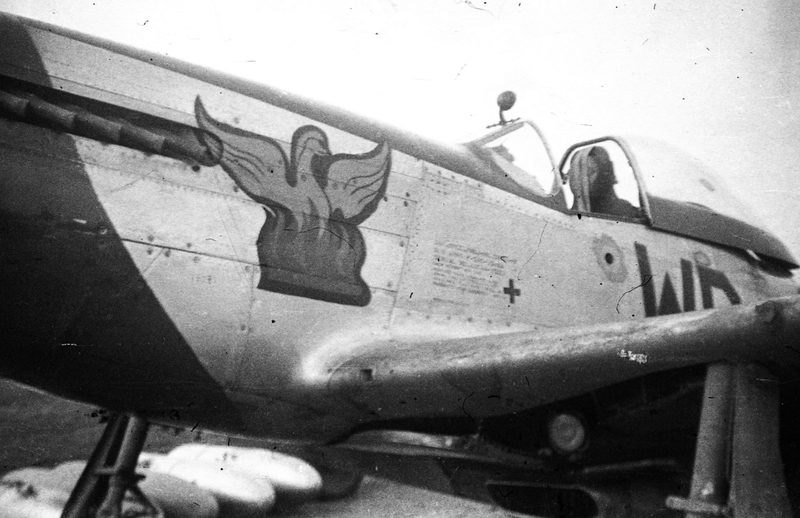 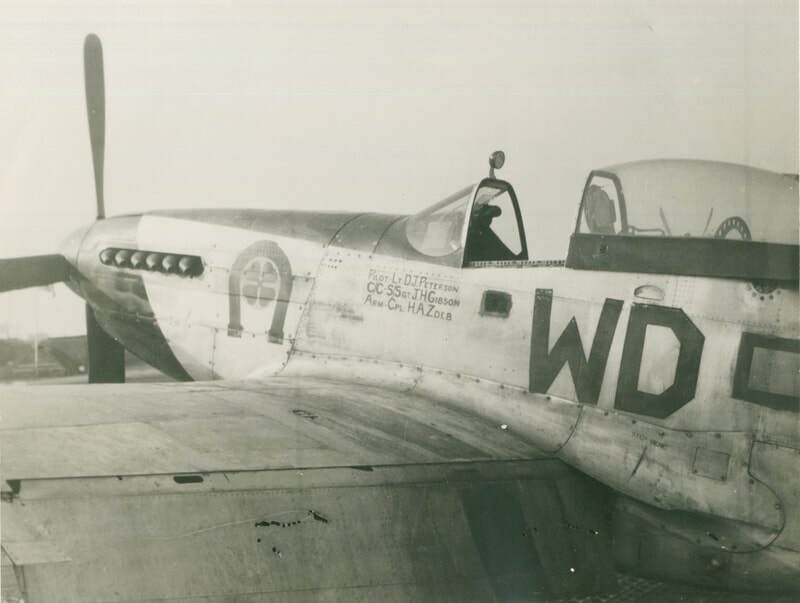 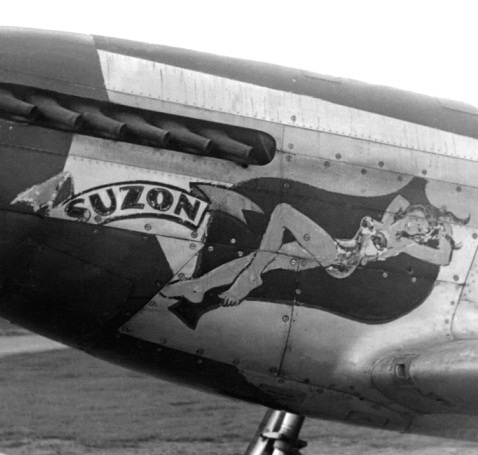 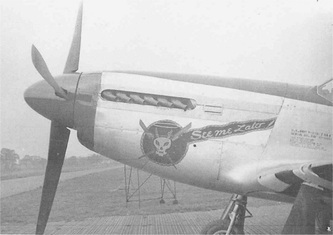 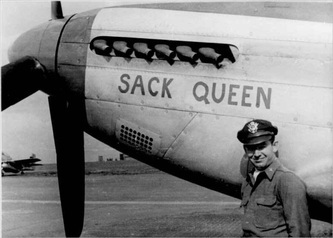 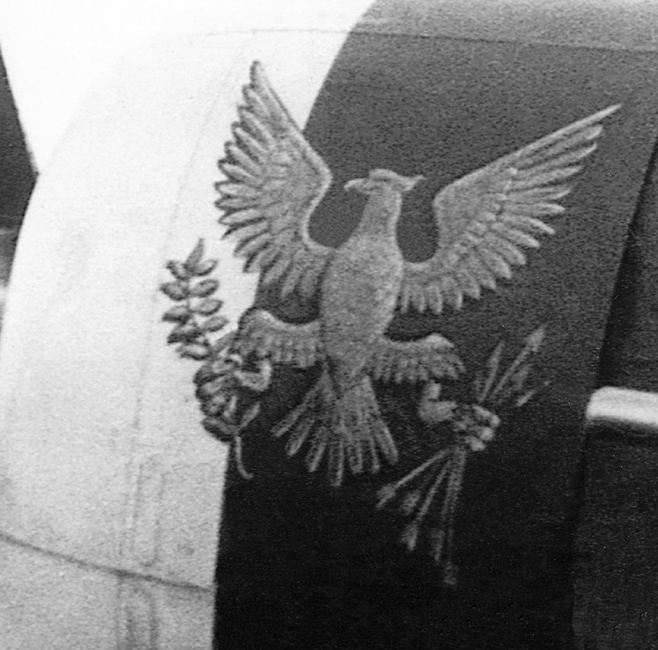 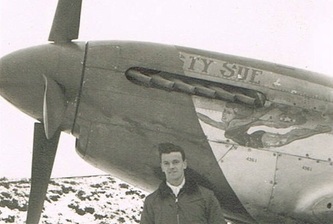 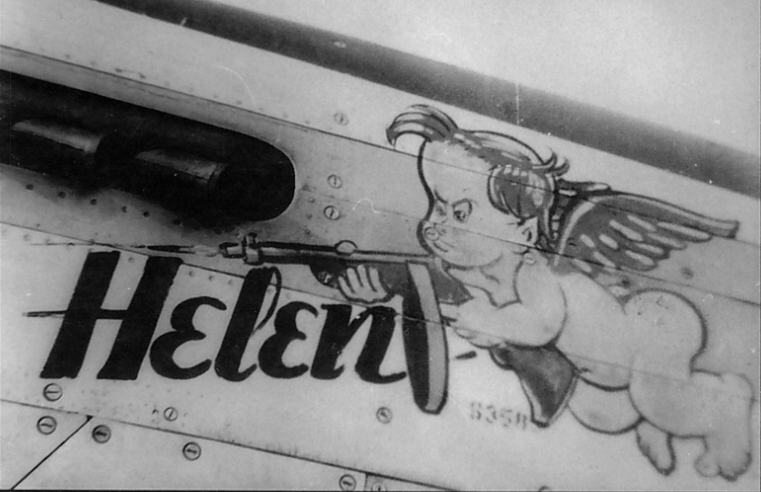 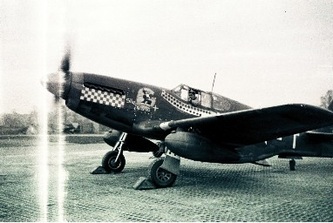 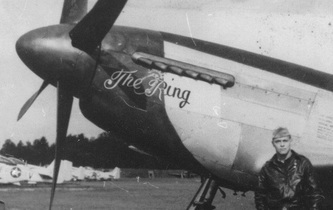 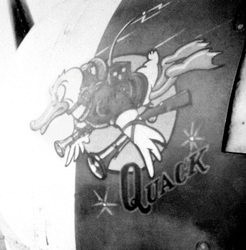 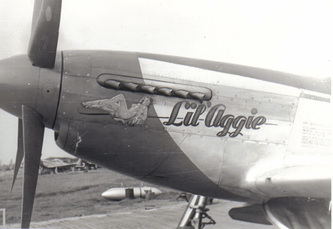 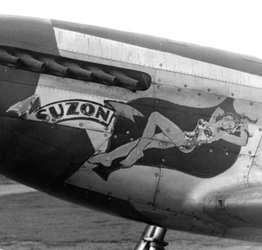 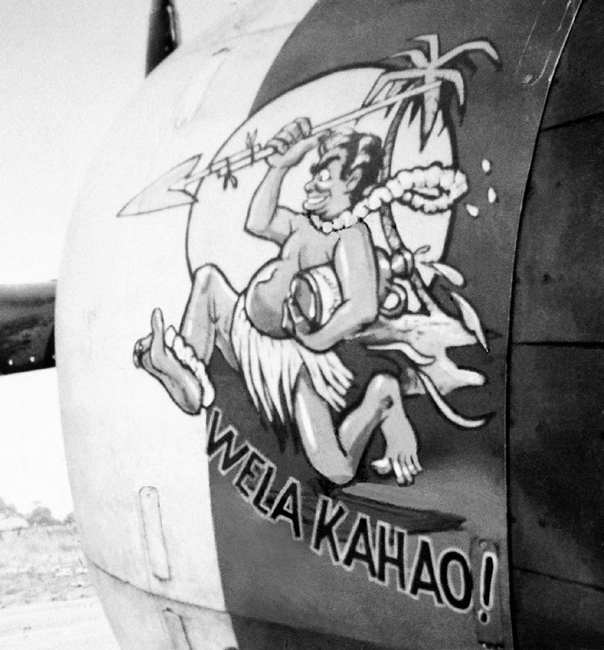 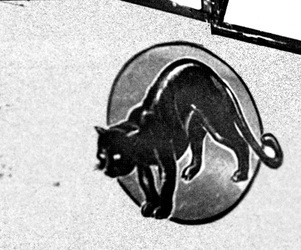 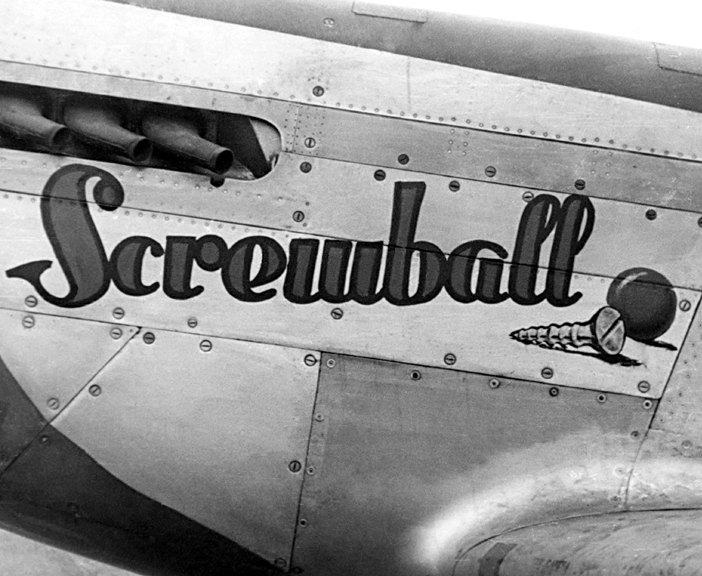 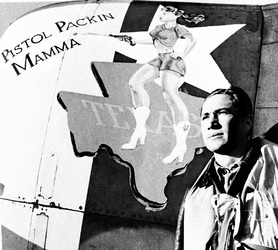 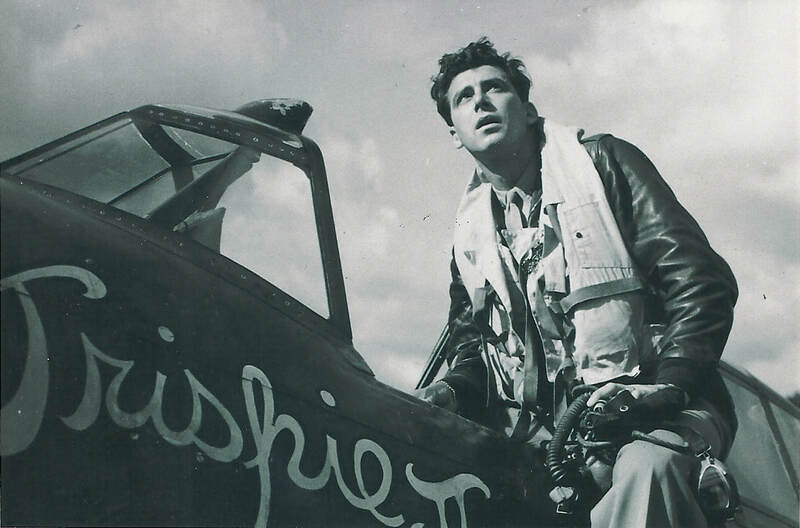 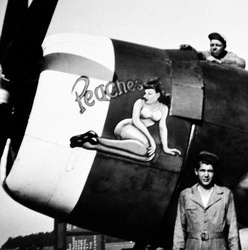 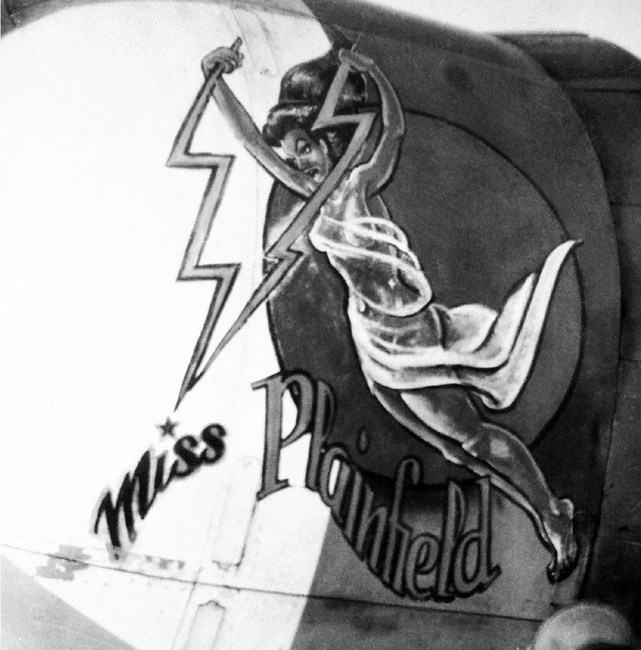 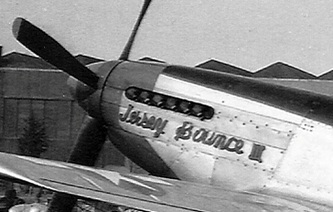 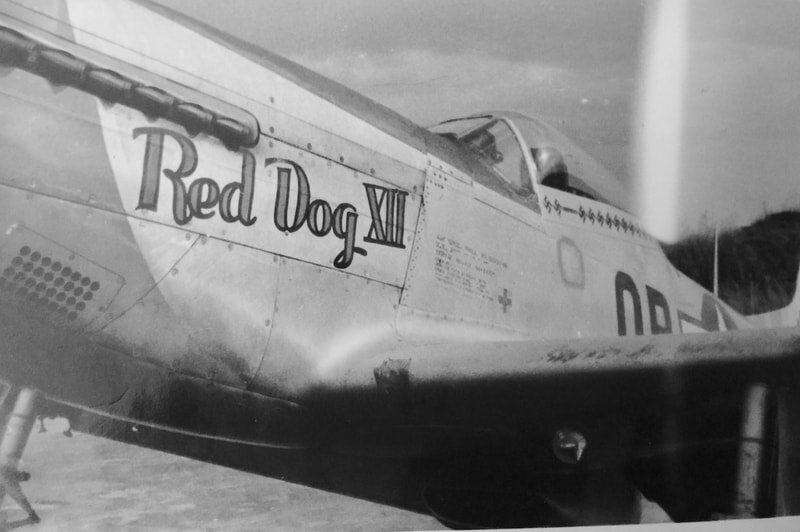 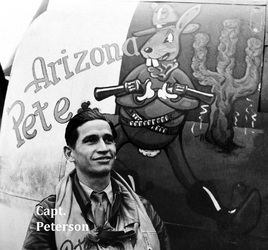 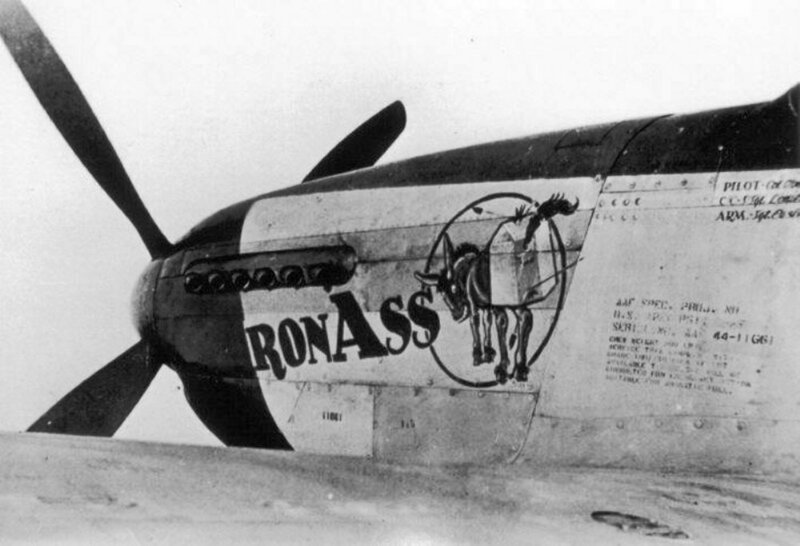 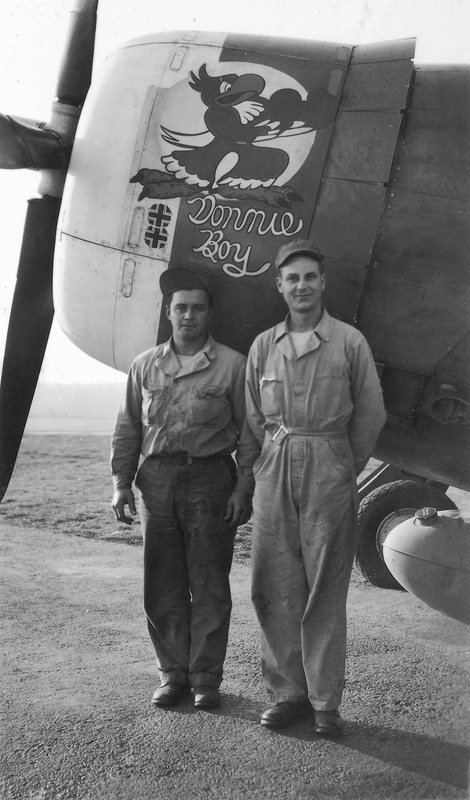 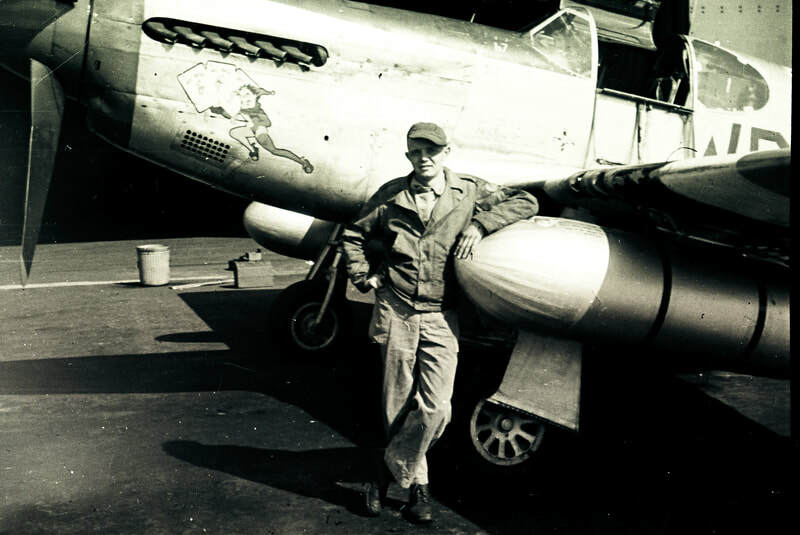 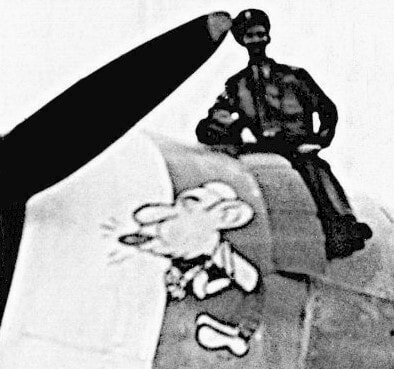 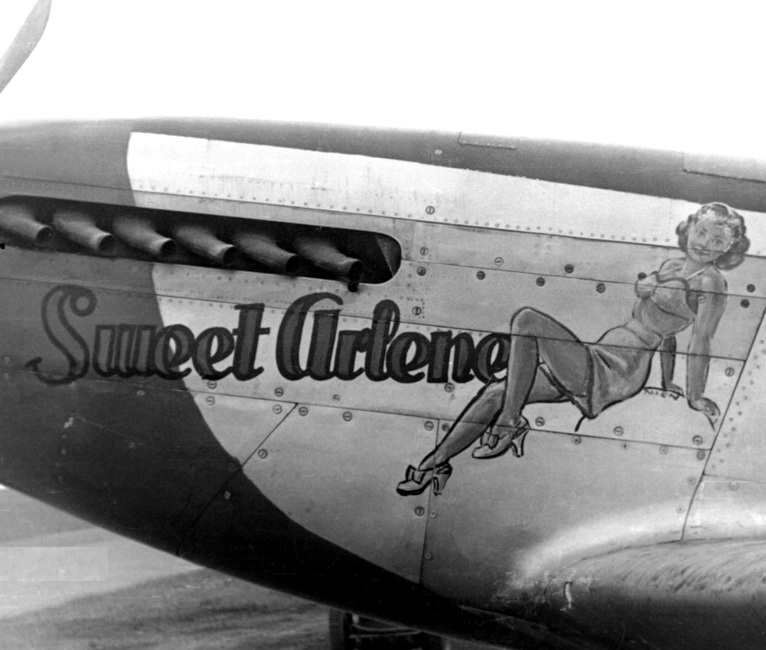 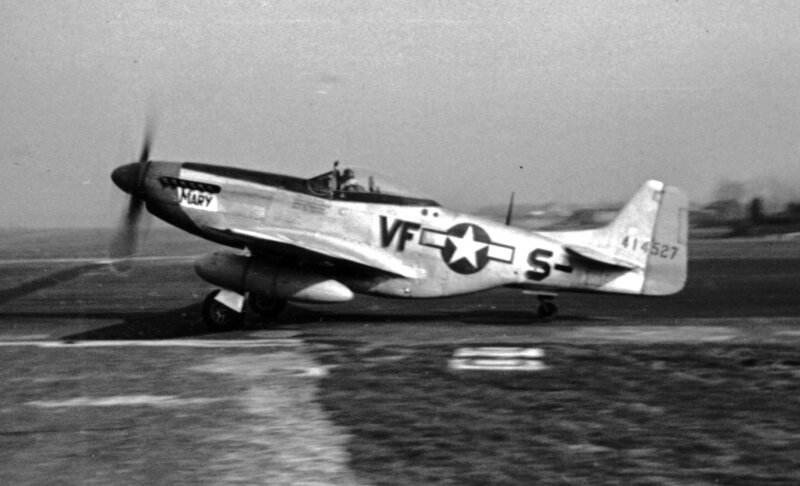 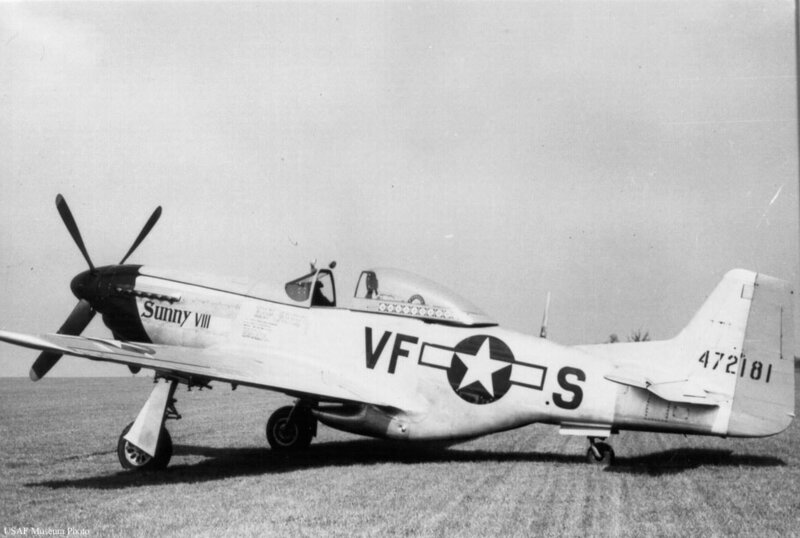 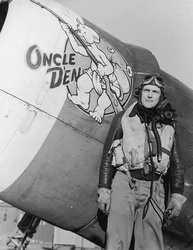 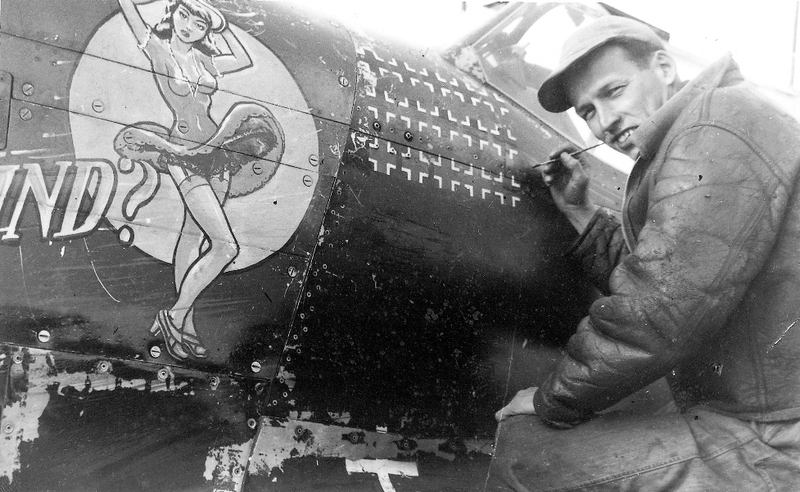 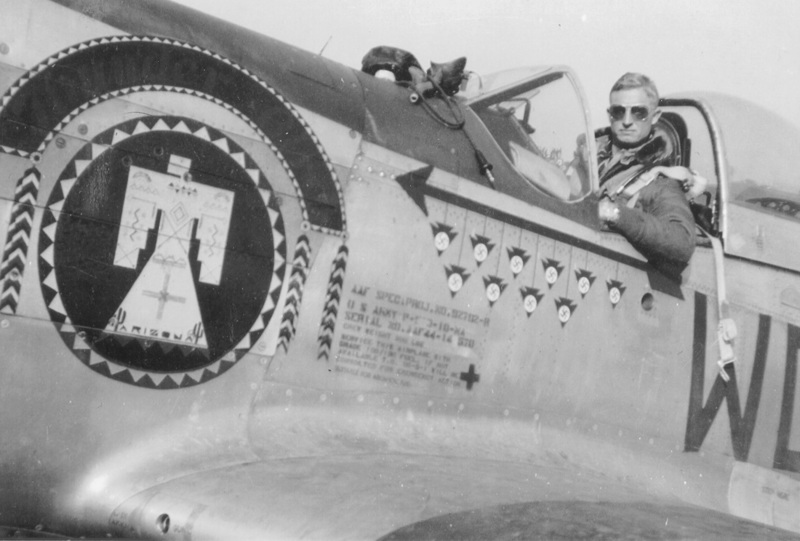 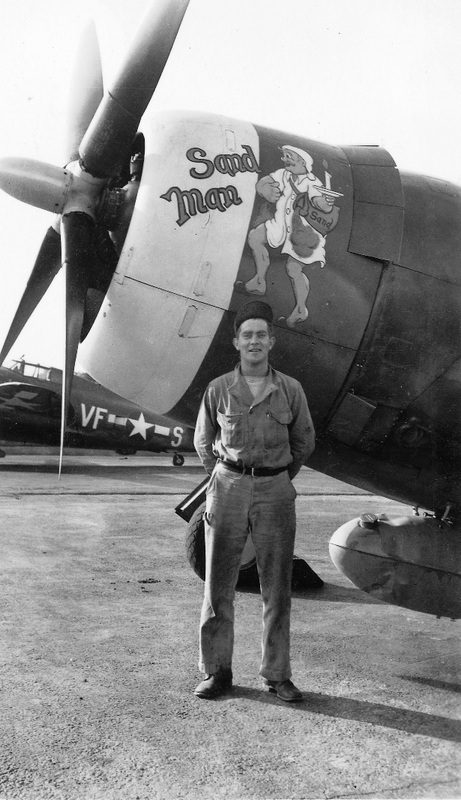 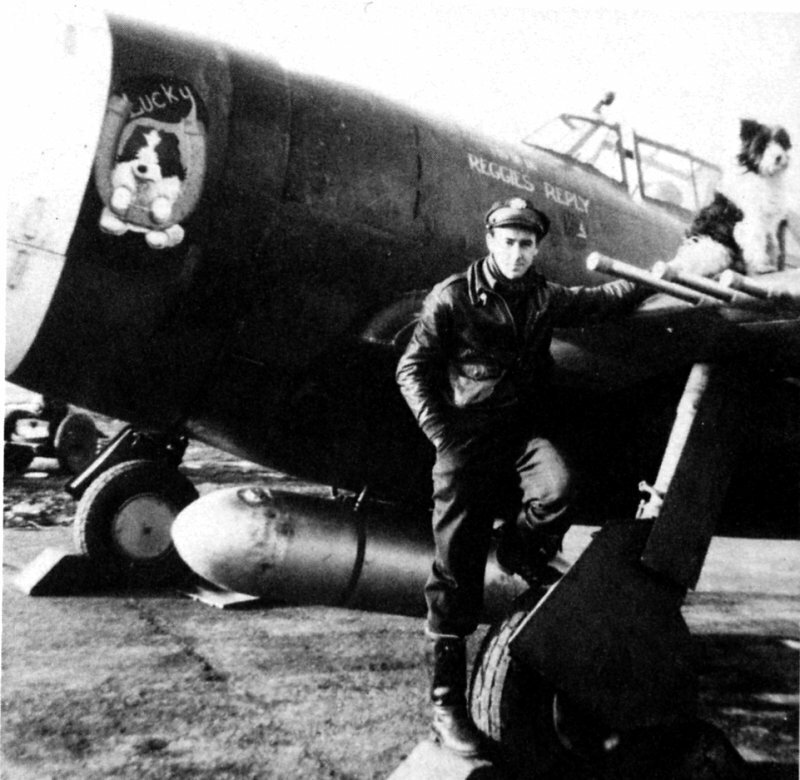 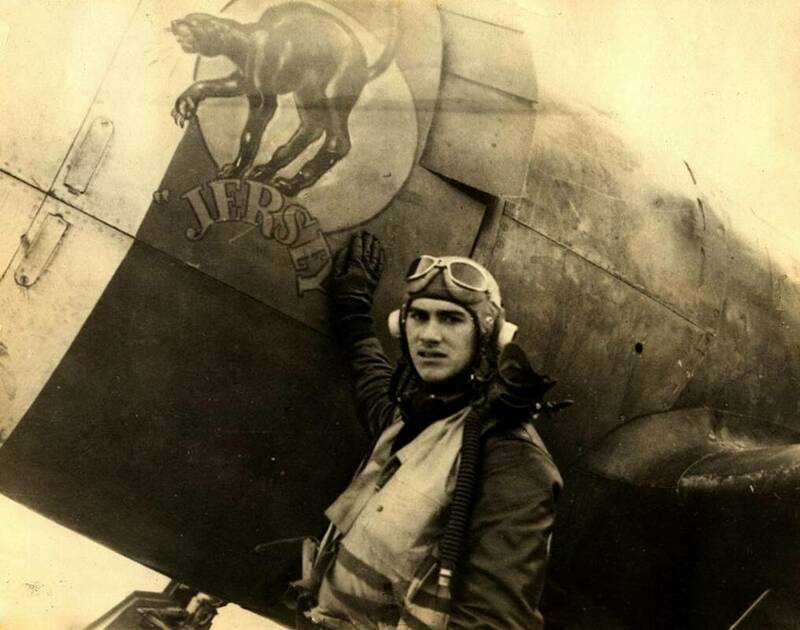 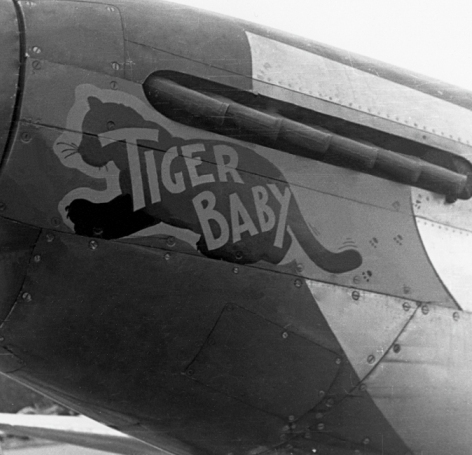 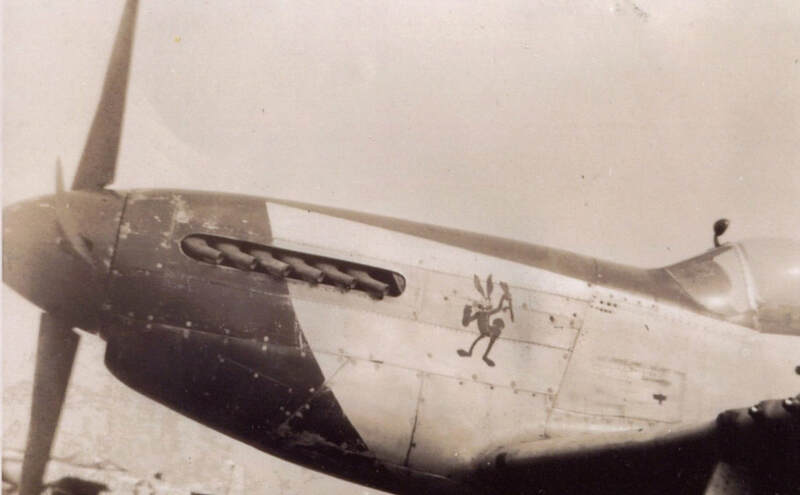 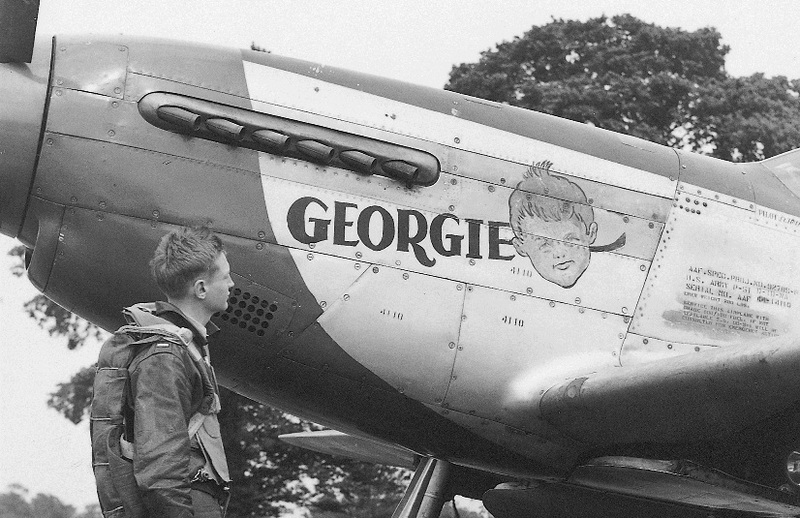 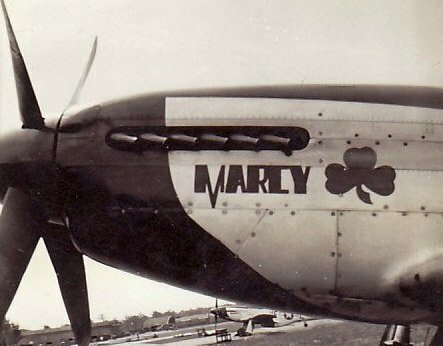 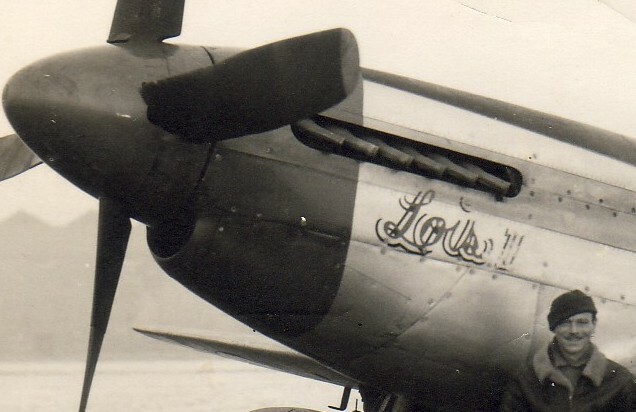 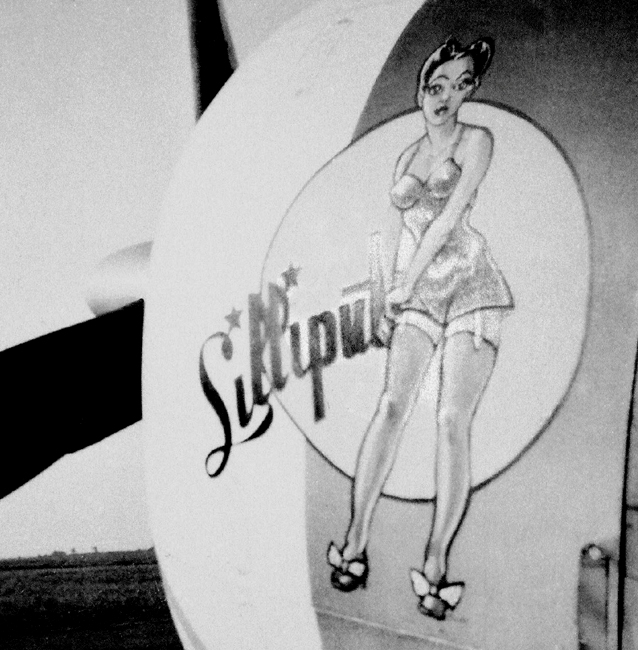 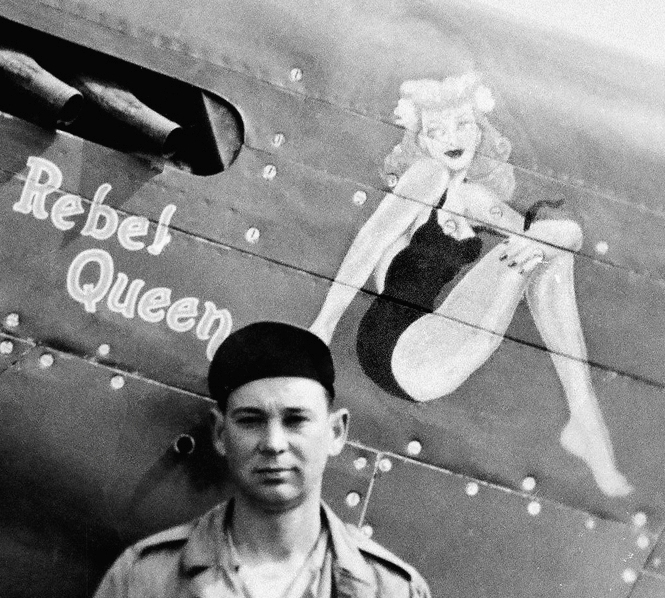 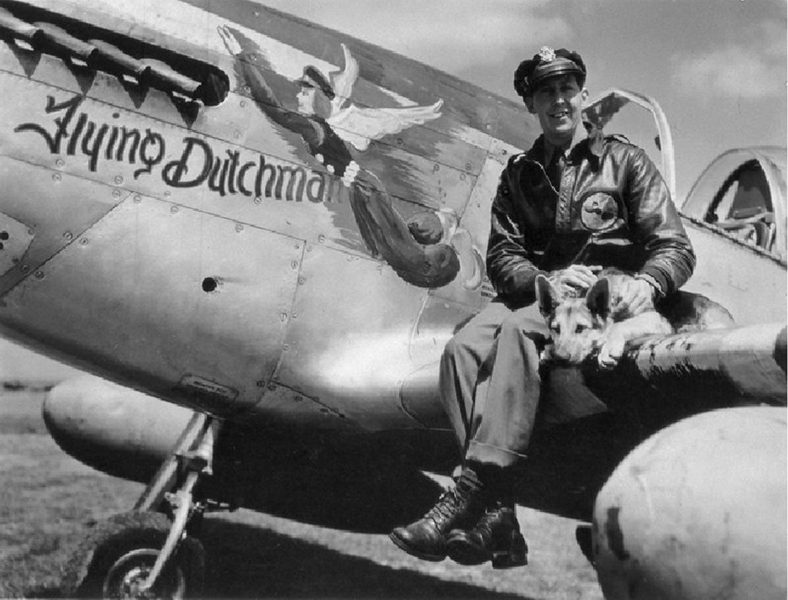 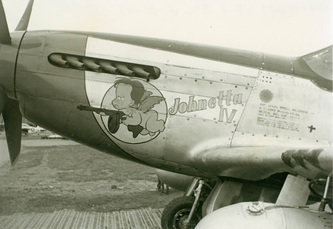 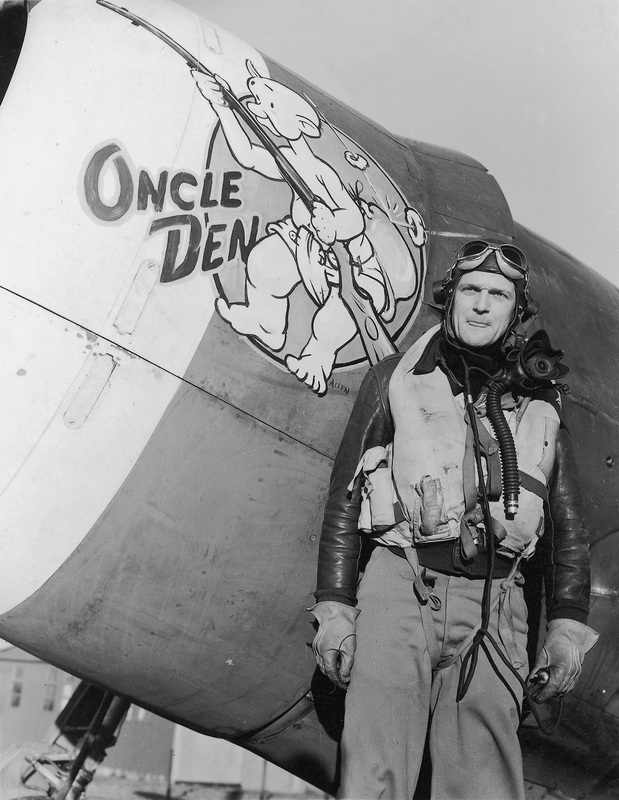 He is responsible for the nose art on perhaps the most famous Debden Mustang of all, Don Gentile's Shangri-La. 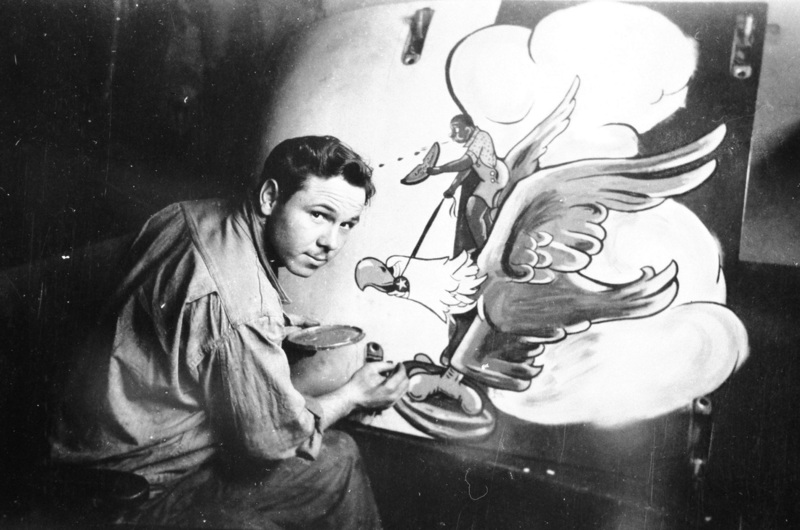 Little is known about Rice's post war career, but it is believed he taught art to high school students back home in Colorado. 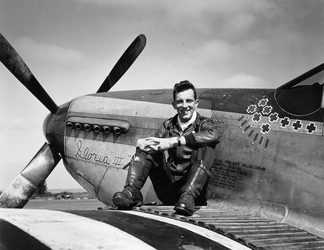 He passed away in 1966 at the age of 45. A piece of his, an aquatint entitled "Kansas Dust Storm" is in the permanent collection of the Cleveland Museum of Art. 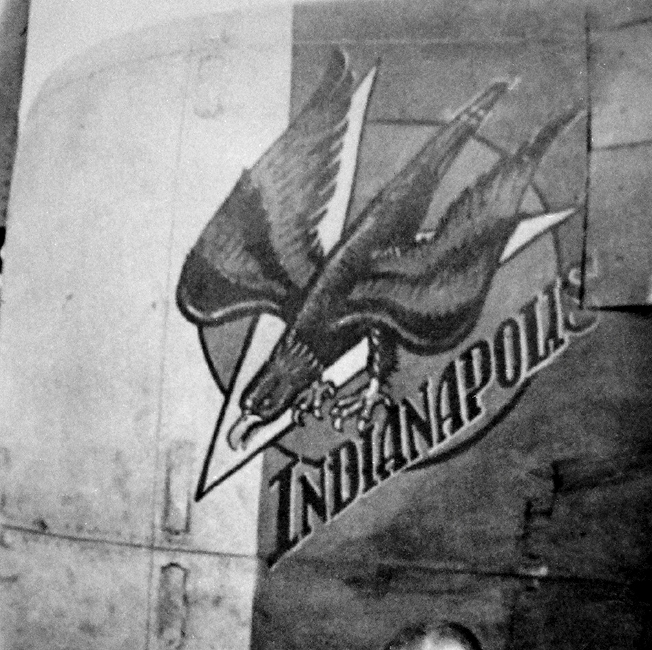 There were other artists within the ranks of the 4th in addition to Allen and Rice, notably 336's Alfred Tomlinson of Moundsville, WV. 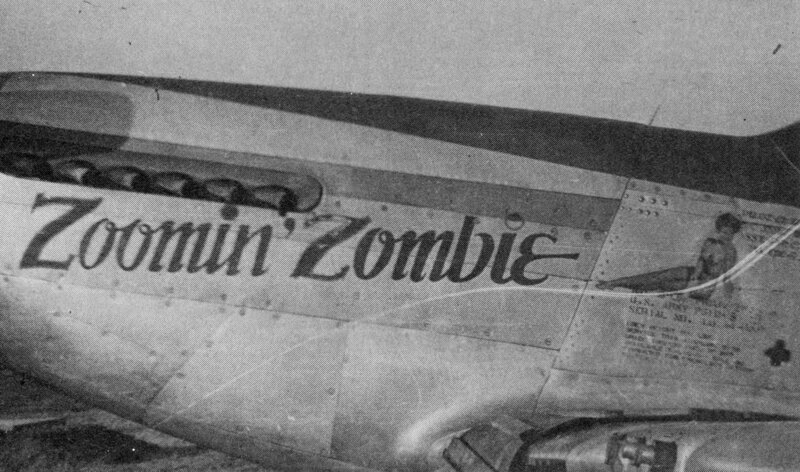 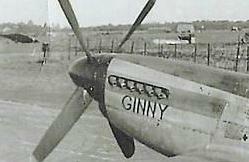 Tomlinson did the artwork for all of John Godfrey's aircraft. 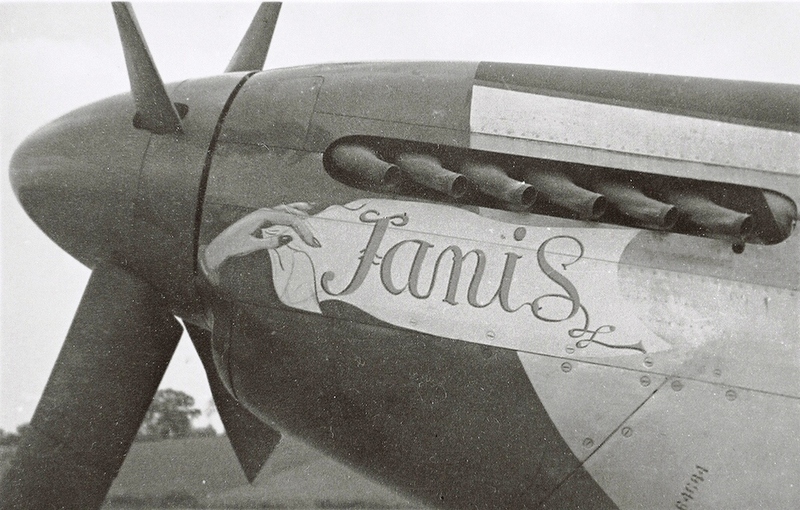 For the time being, the names of other nose artists, especially one for 335, escape us. 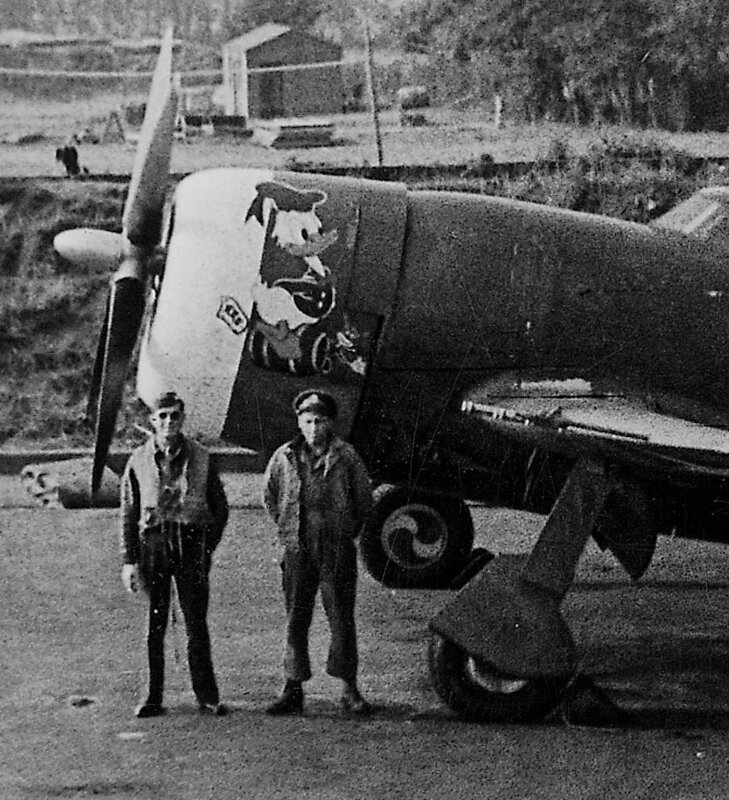 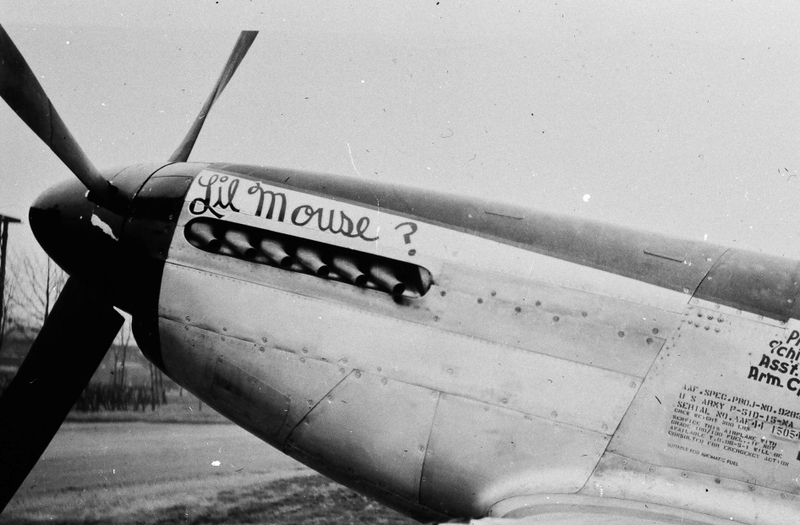 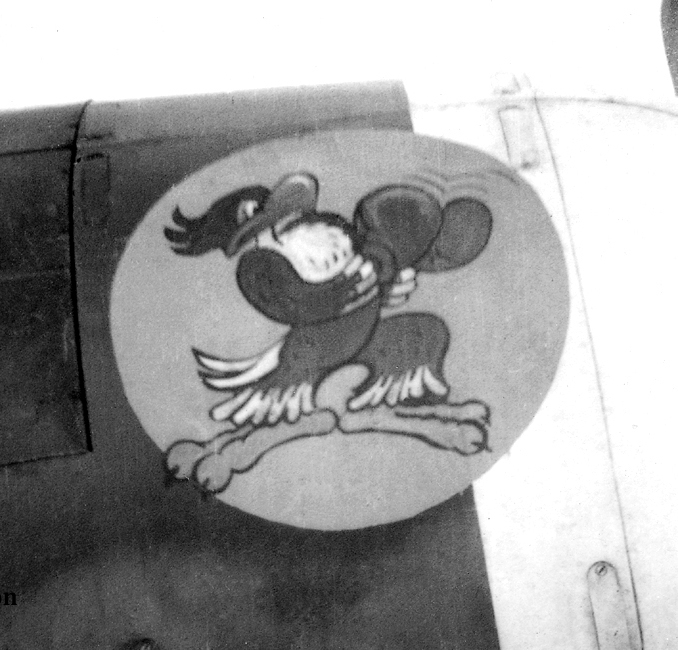 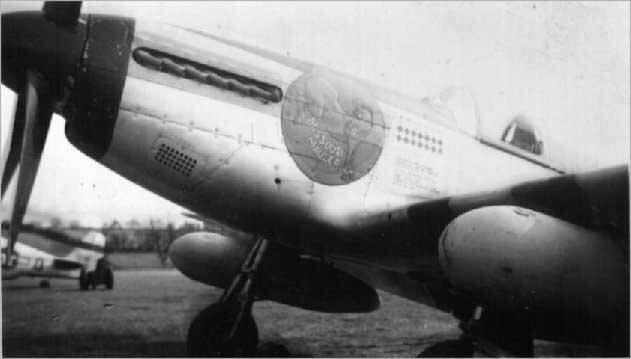 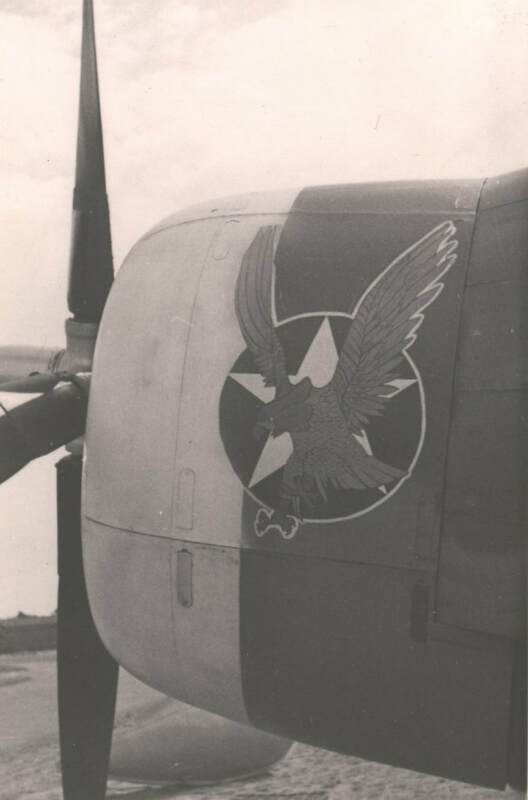 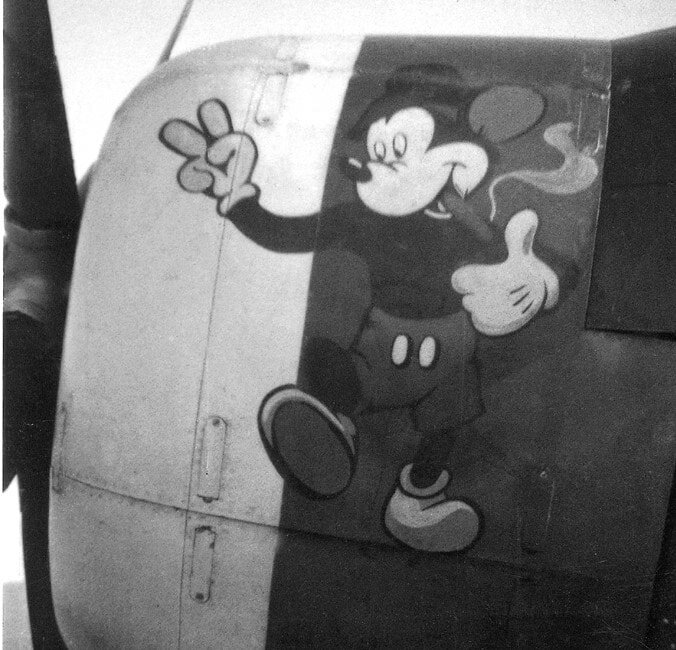 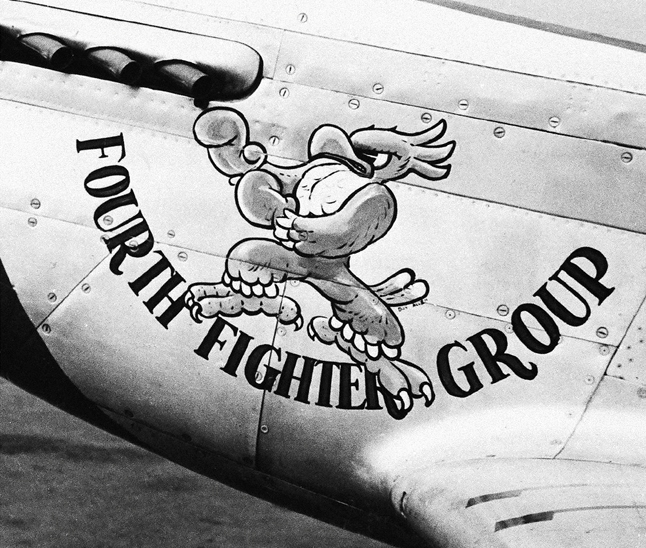 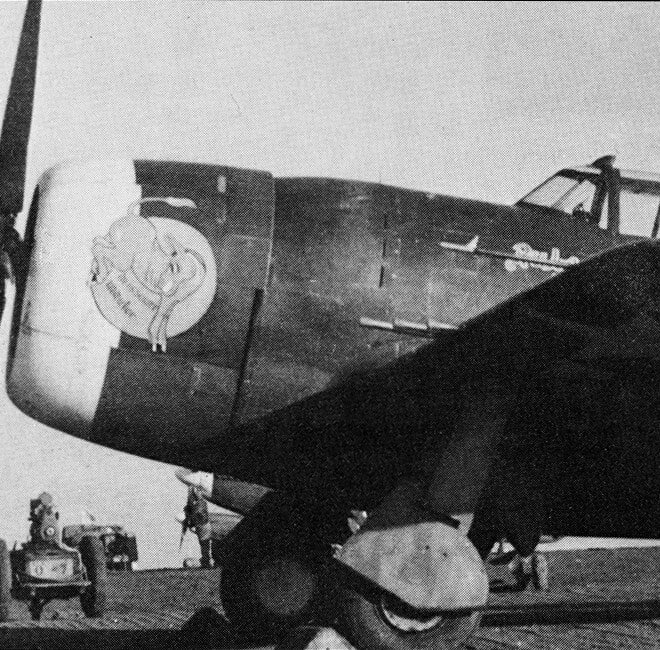 If you have any information regarding other 4th Fighter Group nose artists, please contact us.